John W. Britton's 1949 Ford, of Corona, California. Tommy Thornburgh's 1947 Studebaker of Gardena, California was restyled by Barris Kustoms. The build was completed late in 1952. Jack Crabbs' 1948 Buick Roadmaster of Bettendorf, Iowa. Known as the "Black Flame", ack's intent was to build and market a low scale production custom car for wealthy people, like the Kurtis Cad and the Muntz of the same time. The build was started in 1953 and completed in 1956. It was restyled by Dunshee's Body Shop. 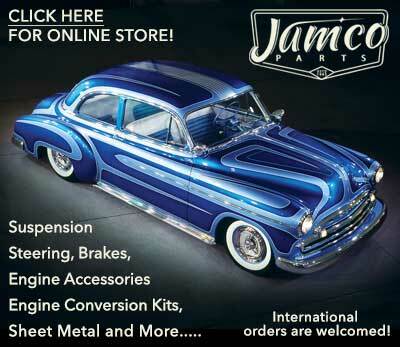 Danny Lares' 1941 Ford Coupe, of Wilmington, California was restyled by Barris Kustoms for Jesse Lopez. John Logg's 1947 Mercury Coupe, of Hollywood, California was built by Barris Kustoms for Cliff Rockohn. Bobbie Nessur's 1952 Ford, of Sacramento, California. Roger Miller's 1953 Ford Club Coupe, of Bellflower, California was restyled by Ed Schelaas and striped by Larry Watson of Watson's House of Style. Bobby Rodriguez' 1954 Ford, of San Antonio, Texas was restyled by Crown Custom Shop. Jerry Feigner's 1955 Chevrolet Bel-Air, of Wilmington, California was a Cut Outs car. Carol Lewis' 1956 Chevrolet Bel Air, of Baldwin Hills, California. Carol was Dean Jeffries girlfriend. Eric Bracher's 1956 Chevrolet of San Jose, California was restyled by Joe Wilhelm at Wilhelm's Custom Shop in the late 1950s. Jimmy Walker's 1955 Chevrolet Bel-Air, of McFarland, California. 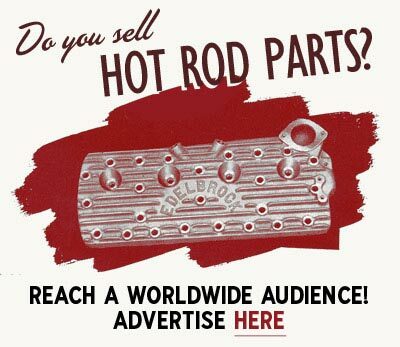 Bud McNair's 1955 Chevrolet 210, of Corona Del Mar, California was flamed and striped by Von Dutch. Ed Hoban's 1956 Chevrolet, of Los Angeles, California. Bob Baker's 1955 Chevrolet Bel-Air, of Compton, California was striped by Dean Jeffries. Harry Hoskin's 1955 Chevrolet Bel Air of Maricopa, California. Restyled by Barris Kustoms, the car went trough several iterations. The first version was completed in 1955. George Long's 1955 Chevrolet, of Pasadena, California. Ronnie Reishert's 1955 Chevrolet Bel-Air, of Los Angeles, California. Perry Gardner's 1955 Chevrolet Bel Air, of Artesia, California was striped by Von Dutch. Henry Contreras' 1955 Chevrolet Bel Air of Norwalk, California. 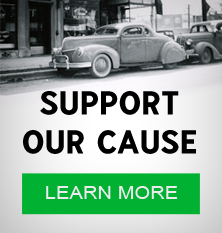 Henry was a member of the Rogues of Long Beach car club, and his Chevrolet was restyled several times in the 1950s and 1960s. Branson's Custom Shop was responsible for many of the modifications on the car. Trend Book 143 Restyle Your Car is a book by George Barris and Jim Potter. The book was published in 1957. 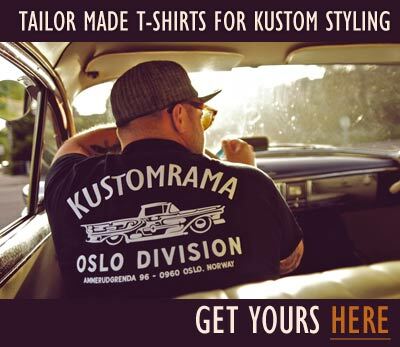 Subscribe to our newsletter and receive updates on Trend Book 143 Restyle Your Car and other subjects featured on Kustomrama. If you have additional information, photos, feedback or corrections about Trend Book 143 Restyle Your Car, please get in touch with Kustomrama at: mail@kustomrama.com. This page was last edited on 27 September 2017, at 13:07.